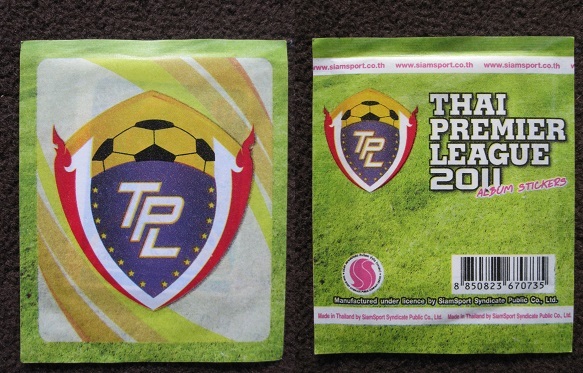 Thai Premier League 2011 is the first ever sticker collection of the Thai league and one of the rarest and most mysterious football collections ever released. It includes the 18 clubs of Premier League with a total of 360 stickers. The publisher Siam Sport released a second album for the following season (Thai Premier League 2012). The collection 2011 starts with an introduction of two sections without stickers. The first includes information about the clubs and the team photos. The second shows all the club stadiums (only printed). The Premier League clubs are displaced over two pages with 20 stickers each. Other features on these pages, like club badges and trainers, are only printed on the album. After all, this is a good quality collection. There are some mistakes here and there and the cut of the stickers is not always regular, but the album has a decent graphics and it includes at least photos of the teams and the stadiums. It was relatively easy (at least for me) to complete it, with just two boxes of 50 packs each. Unfortunately no club badge stickers are included. A particular feature of this collection is that the name of the international players (both in the album and on the stickers) is not written in the Thai language, but in the Latin alphabet. Another special feature is that the stickers inside the packs are not loose but in a plastic envelope. The season 2011 of the Thai Premier League was dominated by Buriram United. They won the title with 85 points, second place for Chonburi with 69 points and third for Muangthong United with 60. Top scorer was the Buriram player Frank Ohandza from Camerun, with 19 goals. The Thai Premier League is filled by international players. 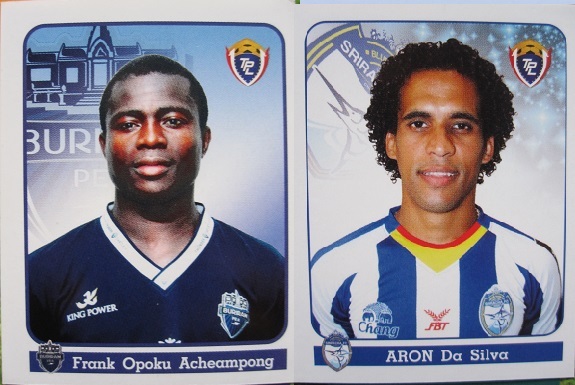 Among them a young Frank Acheampong (Buriram), who later moved to Anderlecht (from 2013 to 2017) and to the Chinese league with Tianjin Teda. This collection is rare and mostly unknown and therefore extremely difficult to find. Thanks to a friend I have got two boxes and album and with some (or a lot) of luck I managed to complete a full set from these two boxes. A piece of diamond for my collection!